Shield your home from EMF pollution with the Tabletop Harmonizer. This electromagnetic field protection device generates scalar waves and Schumann Resonance to increase energy, reduce stress and illness, and improve mental performance without interference from electronic radiation. Neutralize the effects of ELF, power lines, and other electronic pollution with the Harmonizer. Full 30 day money back guarantee! Made in the USA. 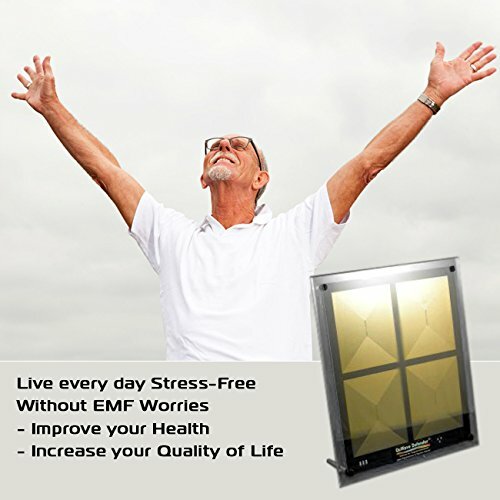 The Tabletop Harmonizer is designed to fight stress, illness, and negative energies that occur from EMF pollution. This model is designed to be placed on a table, desk, or night-table. It can also be placed flat for locations like under your bed for night-time use. This model is not portable, and needs to be plugged in at all times to operate. EMF pollution can disrupt and conflict with your body natural frequency, degrade cellular structure of organs, weaken and subject your systems to breakdown, disease or illness. Stress will not have negative effects on you any longer. Depression and feeling burned-out will fade into the past. This Tabletop Model QWH3 generates a field about 100 times stronger than the Personal Model QWP1.